It's true that if there's any group of people that'll be first to embrace the newest underwear-as-outerwear trend, it's the good people of Miami. 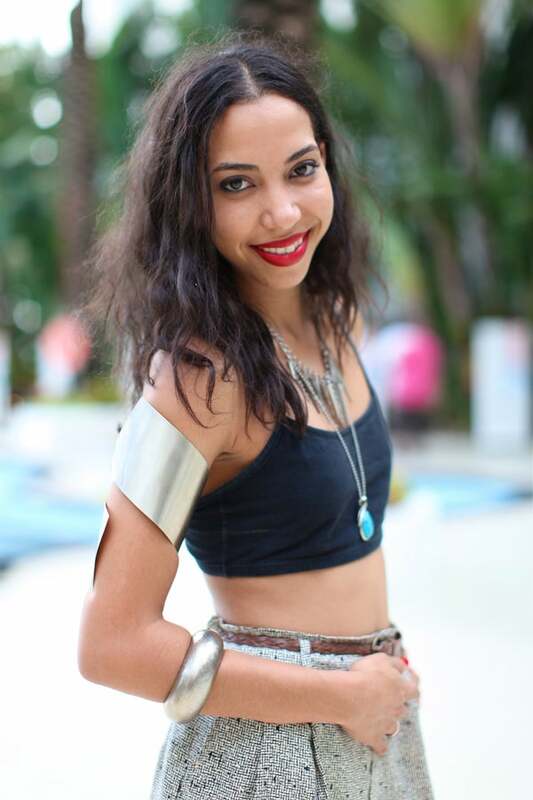 Case in point: Samantha Romero, who we spotted during Miami Swim Week, who paired her thin-strapped sports bra with high-waisted trousers, strappy platforms, and an arsenal of silver jewelry (check out that upper-arm cuff!). The woolen, pleated trousers provided just the dose of austerity the sports bra needed — and the beautifully curated jewelry definitely kept the entire look from looking like an accidental laundry-day outfit. Brava!